The sole witness in the murder trial backtracked on his testimony, then claimed he was intimidated into doing so. 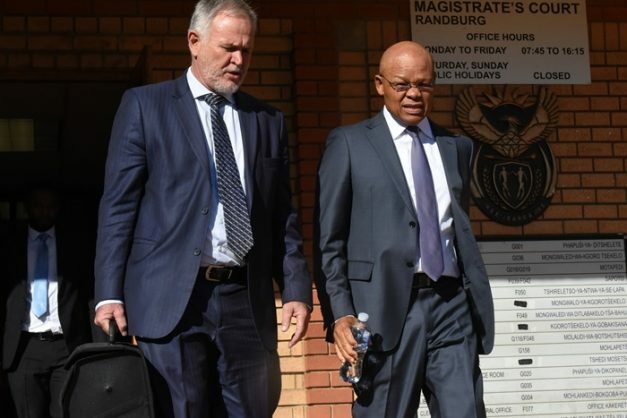 Prominent defence advocate Barry Roux will lead the appeal process of two Coligny men convicted of killing a teenager for stealing sunflower seeds, Afriforum said on Monday. Kriel said the defence legal team had consulted with Roux. The court had rejected their version and accepted the testimony of the sole eyewitness of the incident, Bonakele Pakisi. Kriel said they would lodge an appeal following reports that Pakisi admitted he had lied to the court to a priest. His confession was allegedly recorded. Rapport revealed last Sunday it had heard a recording in which Bonakele Pakisi said he hadn’t been telling the truth when he testified that farmworkers Pieter Doorewaard, 27, and Phillip Schutte, 34, had murdered 16-year-old Matlhomola Moshoeu in April 2017. The North West High Court heard on Monday that the two men convicted of killing Matlhomola Mosweu in Coligny after he stole sunflower seeds should be sentenced to life imprisonment. He said the community was deeply hurt by the death of Mosweu. Mynakama, who is a school principal, told the court that irate community members even went to schools and took pupils out of class. He said he went to town and saw farmers driving into town with bakkies, stopping at street corners. He said prior to the death of Mosweu, blacks and whites were tolerating each other but now they were drifting apart.